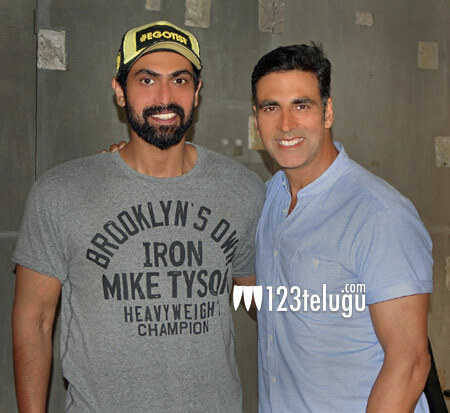 It is well known that Rana Daggubati is returning to film production with a low budget comedy titled Poster Boyz. The film is a remake of the critically acclaimed Marathi film, Poshter Boyz. The film is a humorous take on an important social message. Rana has teamed up with with Bollywood hero Akshay Kumar to produce the film. As per the latest reports, Akshay Kumar, apart from co-producing the film, will also appear in a special cameo in Poster Boyz. Akshay Kumar will also be seen in Shankar-Rajinikanth’s 2.0, in which he is playing a negative role.